Nutty Birder: The Warblers Have Arrived! The last couple days I have spent lots of time birding the forests east of Bloomington. More than 10 warbler species are back including such beauties as Prothonotary and Prairie. Between storms this morning I was lucky enough to find an early Nashville and yesterday there was a Ross's Goose at Stillwater Marsh. With the coming south winds migration should pick up even more over the next couple days. 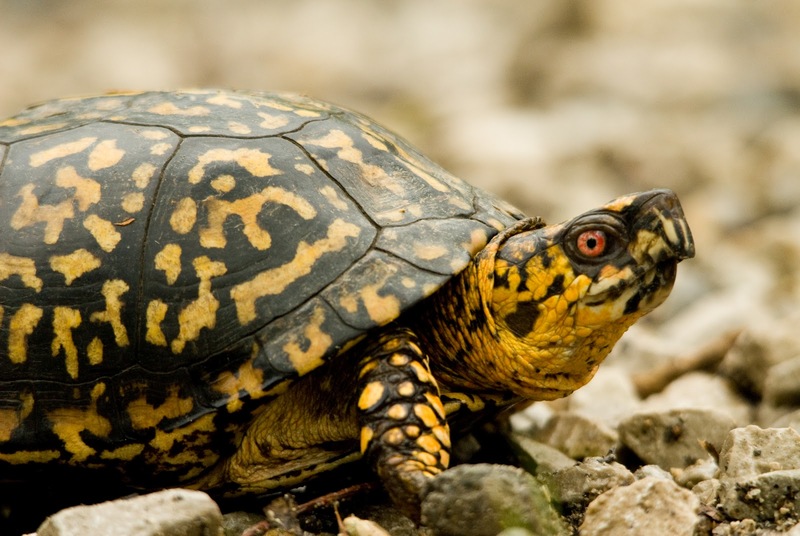 The Box Turtles were also out in full force today and allowed for some nice pics.